The Contact app on your iPhone stores phone numbers, email addresses, and other important information of your family and friends. It will be time-consuming and tough to rebuild the same once you lose the contacts accidentally due to mistaken deletion, broken or stolen iPhone, or while upgrading your iOS. 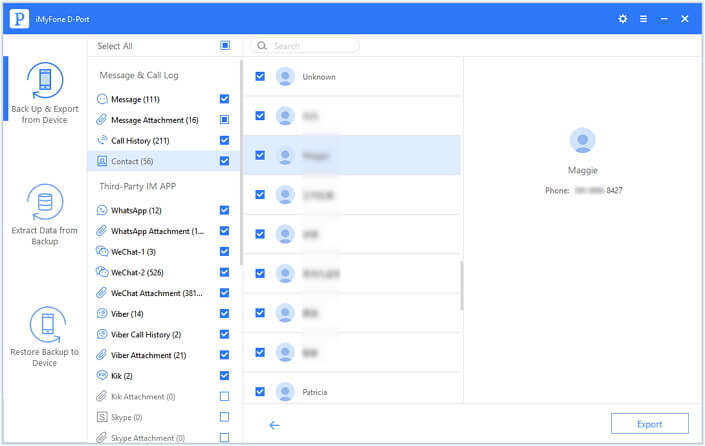 Therefore, it is significant to create a backup of the contacts to your computer so that you can quickly get them back whenever you lose or delete a contact by mistake. As we all know, it is convenient to create a backup of your iPhone through iTunes. However, you are not able to view the data backed up to iTunes if you do not restore your iPhone. Therefore, we are going to tell you 2 ways to back up iPhone contacts without iTunes. 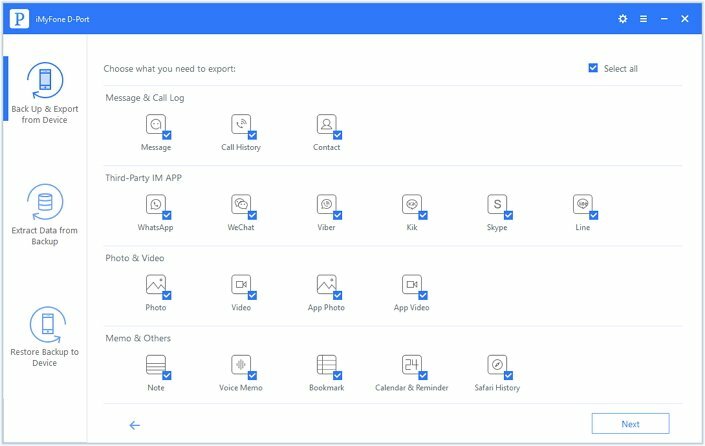 It supports up to 18 different file formats such as contacts, photos, videos, text messages, third-party app history and so on. This makes it easy to extract most important files from your device. It supports also to back up data from iTunes backup or iCloud backup selectively. It allows you to view the files on the preview window for free so that you can select the important ones to back up. All iOS devices (including iPhone X, iPhone 8) and all iOS versions including the latest iOS 11, iOS 11.1, iOS 11.2 are supported. You can visit the official website of iMyFone D-Port to download and install the software. After that, connect your iPhone to computer and verify that it is detected by this program. Step 1: Start the program and from the left pane of the main screen choose "Back Up & Export from Device" option and tap on "Export Data". Step 2: Choose "Contacts" from the data types listed; Press the "Next" button to continue. Step 3: iMyFone D-Port will display the extractable contacts in its preview screen after completing the scanning process. You can tick selective contacts or choose all and click "Export" to back up them on your computer. The other way through which you can create a backup of the content or backup of your contacts is by using email. With the guidance of this, you can easily upload or back up your iPhone contacts to your email like Gmail, Hotmail, Exchange, and Yahoo. For the steps below we will use Gmail as an example. 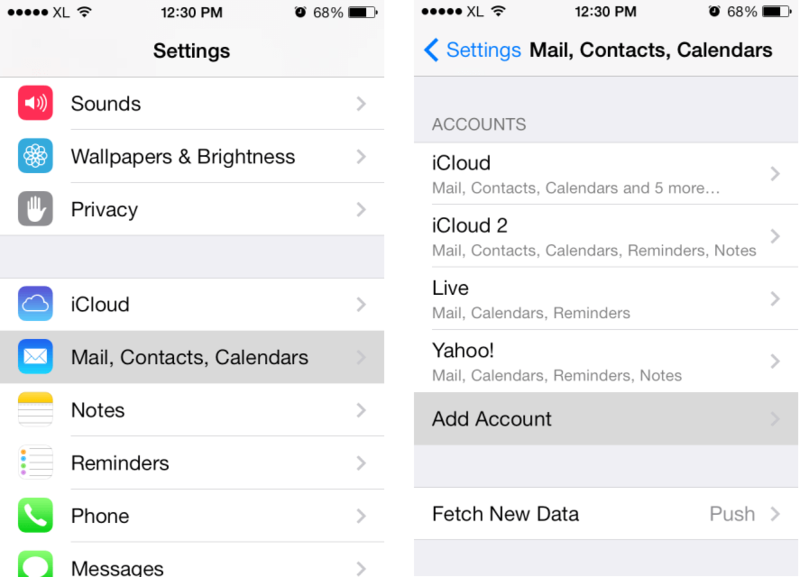 Step 1: Open the Settings app on your iPhone and tap "Mail, Contacts, Calendars" option. Step 2: If you already have an active email account it will display on the next screen. If you do not have, then you can select "Add Account" before choosing Microsoft Exchange. Step 3: In the following screen, you can add the preferred email account, its password and related information of the account. Step 4: In the server field add "m.google.com" and then type the same email address that you mentioned in the above step. Please note that the server and username changes according to the service other than Google. Step 5: Press next and in the next screen ensure that the "Contacts" toggle is "ON." 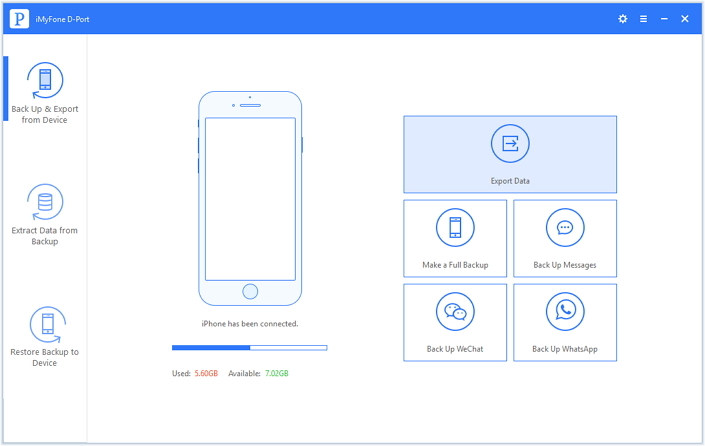 The procedure will automatically backup the contacts stored in your iPhone to the entered email address.